Dodital, a fresh water lake at an elevation of 3085 meters is a popular trekking destination in Uttarakhand Himalayas. Located in the border district of Uttarkashi, the 30 Km trek through dense forested areas and deep valleys concludes at Darwa Top at an elevation of 4200 meters. 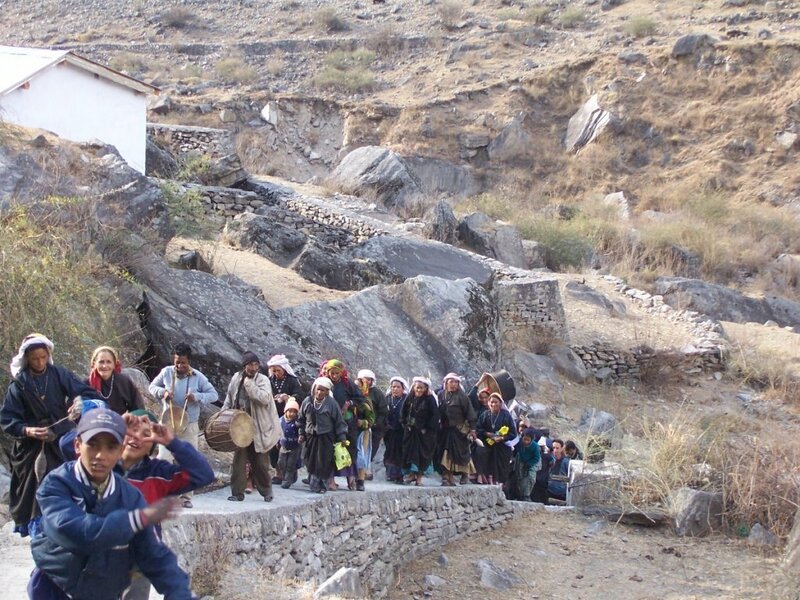 The trek to Dodital is covered in two days with midway camp at Bebra or Manjhi. After camping at Dodital, the trekkers attempt to reach the highest point of Darwa top on a days hike. 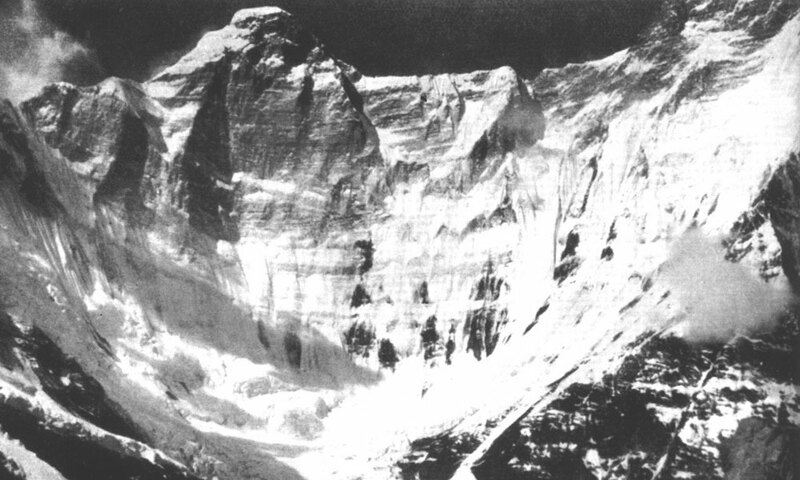 Seasoned trekkers prefer to cross over the Bakariya Pass to reach Hanumanchatti in the Yamnotri watershed. This involves camping at 12000 plus altitude on alpine meadows. Dodital is also a pilgrimage center of local communities. On the occasion of Ganga Dussshera festival all the local deities visit Dodital to celebrate the descent of Ganges on earth. 1 Arrival at our Kuflon base camp located 11 Km upstream of Uttarkashi on Dodital route. Kuflon base camp is located 90 meters above the Assi Ganga river and is an ideal place for bird watching and sports fishing. There are large camping grounds, toilets, dining hall and a small equipment store at Kuflon base camp. 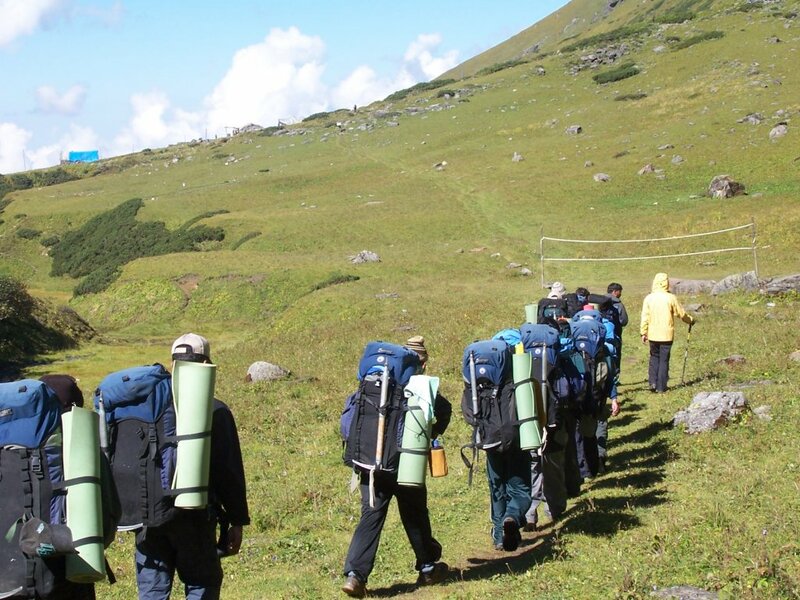 The camp is perfect option for trekkers going to Dodital as their outdoors start from the day one of arrival. 2 After an early breakfast you drive 3 Kms to Sangamchatti to start your 8 Km trek to Bebra. At Sangamchatti you cross the bridge to enter the trail which is initially steep but turns gentle as you gain height. Your first day halt comes 2 Km after the Agora, the last village on the trail. At Bebra you stay at our shepherds lodge near the ridge. 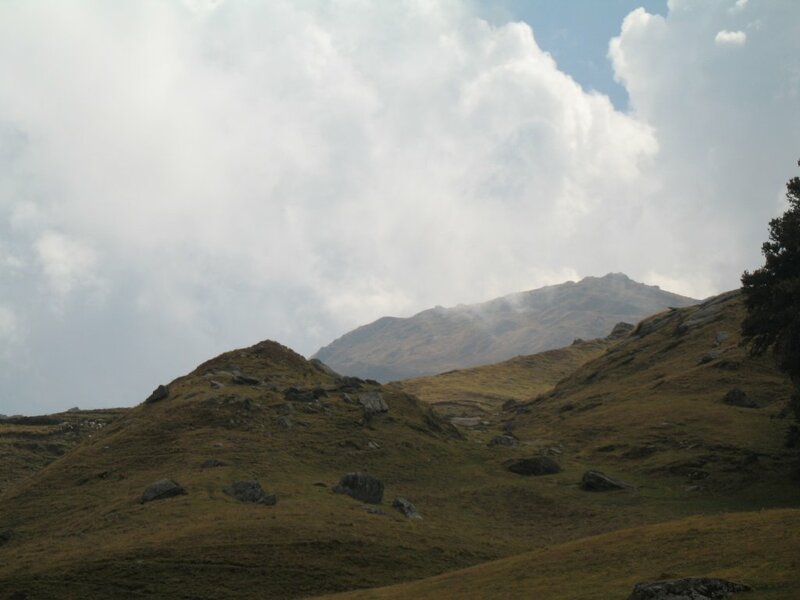 In the afternoon you can walk up to the ridge or take short walks in the nearby wilderness. 3 After breakfast you start your uphill climb till Dharkot. 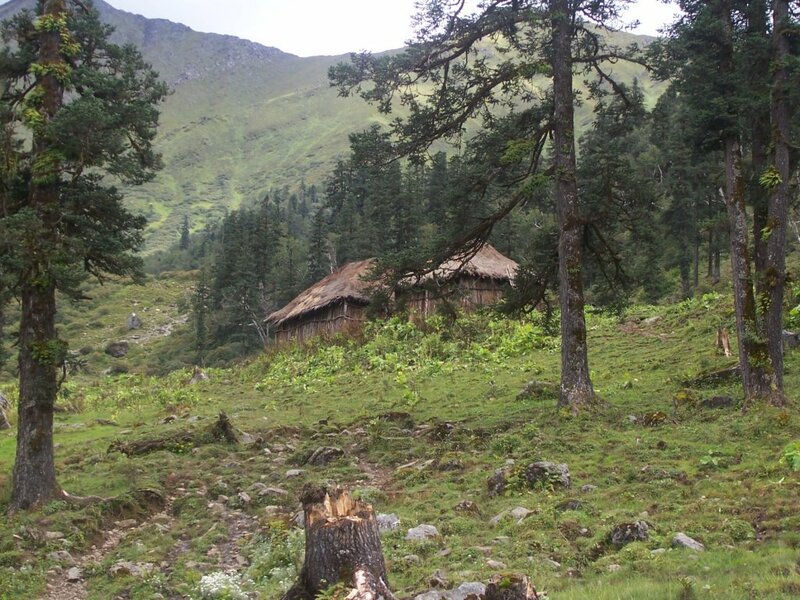 The forest starts dominating the route as you approach Manjhi, a midway seasonal forest dwelling of Agora villagers. Covering 14 Kms on your second day of the trek you finally arrive at Dodital. Overnight in tents at Dodital. In case you desire, advance reservations can also be made for your stay at the Forest Guest House at Dodital. 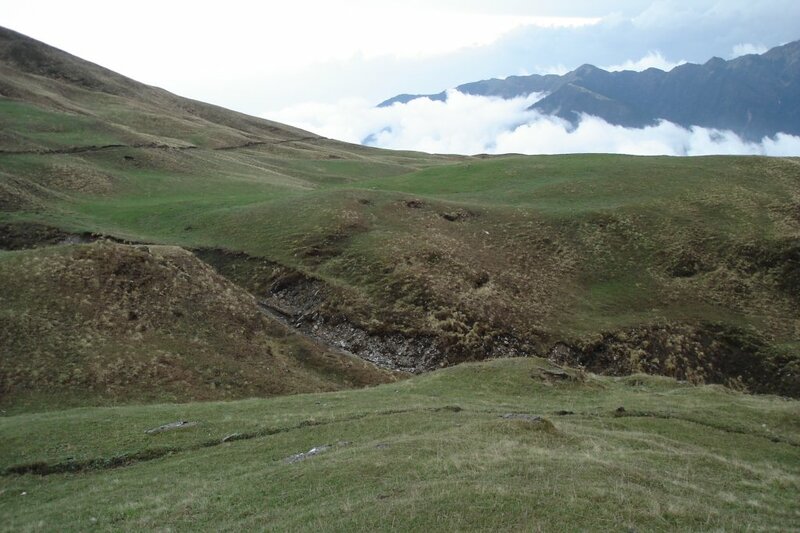 4 Third day of the trek takes you to an elevation of 4200 meters at Darwa Top. The panoramic view of the Himalayas opens as you step on the ridge of Bakaria Pass. After spending few hours on the high alpine meadows you return to Dodital. 5 After hot lunch at Dodital you return to Bebra. 6 After an early breakfast you retrace your steps to Sangamchatti and drive to Rishikesh /Dehradun for your onward journey. Please note: You can also cross over to Hanumanchatti in the Yamuna watershed with in same duration. The itinerary involves camping at Bakaria Pass on day 4 and at Seema Meadows on day 5. 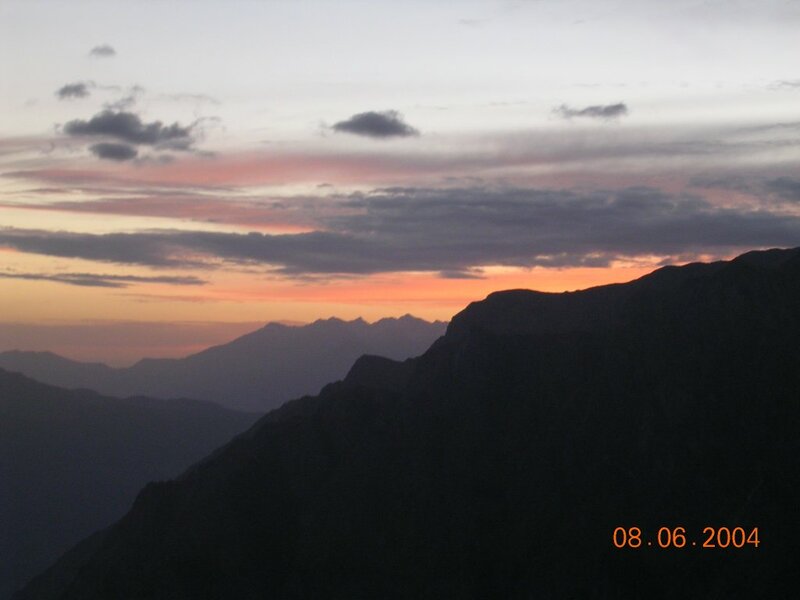 On day six you arrive at Hanumanchatti by early noon to take your return drive for Mussoorie/Dehradun. * Dodital-Hanumanchatti route usually opens in mid May and remains doable till November-December depending on the weather conditions. All food, forest entry permit and camping charges from Kuflon base camp day 1 to back at Kuflon/Hanumanchatti on day 6. Two and four men tents based on the group strength. Safe drinking water during trek. 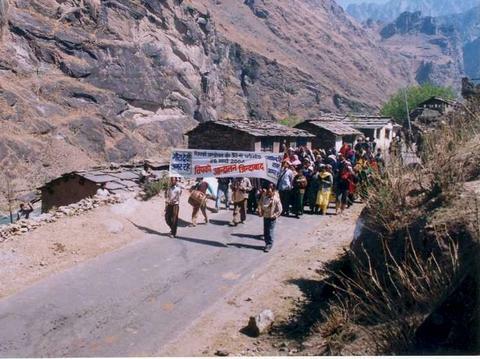 Baggage transfer by mules/porters subject to maximum 10 Kg. load/pax. Certified guides and instructors during the trek. Birding guides are available in case you are interested in bird watching and are willing to reschedule your timings accordingly. Toilet tents on the meadows. Limited equipment is available on hire at our Kuflon base camp. 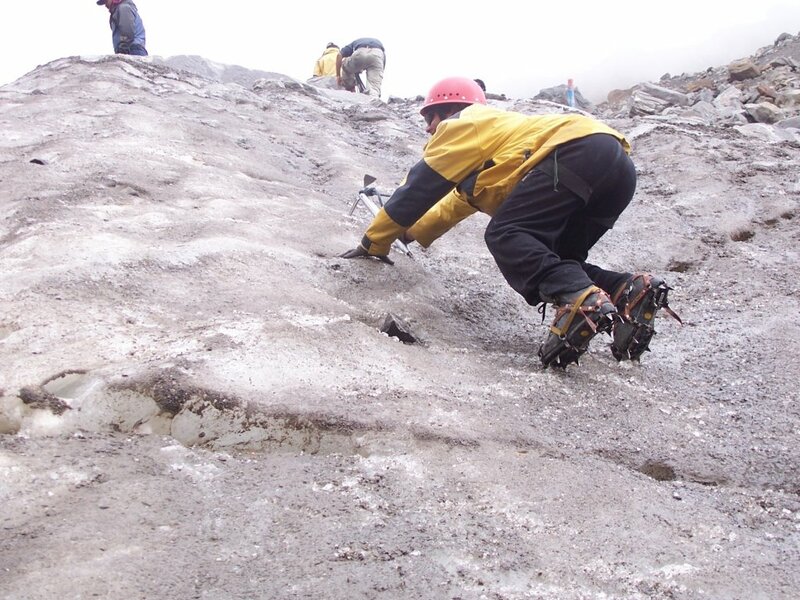 Desirable expedition behavior and discipline. Strict adherence to environmental and responsible tourism guidelines. Prior intimation in case of any specific allergies or medical history. By net banking, check drop, electronic invoicing or paypal.